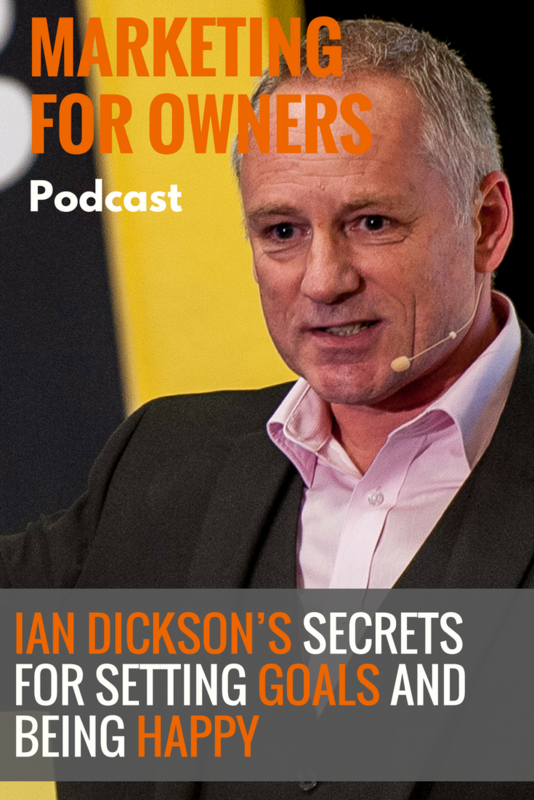 Ian Dickson has coached 100’s of businesses in the UK since he started nearly 13 years ago. What he shares with his clients is the result of the many experiences he’s had in a varied career path which took him from Police Officer to Corporate Director, and now Business Coach. He joined the Metropolitan Police Force in 1976, policing the streets of Brixton during the now-famous riots. But he left to start his own business, and by age 26 had sold it for a bucket load of money which he spent on cars, holidays and girls. Ian had always wanted to be a corporate guy and ended up getting at job at Marie Curie Cancer Care as their IT Director. It’s a job he enjoyed but left after six years of traveling between London and Portsmouth, working 14 hour days. He then got a job a bit closer to home in Reading, working for a telecoms company and earning a six-figure salary. But the 7-day weeks and being woken at 3 am took their toll and made him ill. In the last 18 months of his job he was making staff redundant before it became his time receive the same envelope everyone else had. Ian then spent six weeks sitting at home in a bad place before the fat cheque arrived, which he promptly spent on a new car and a trip to the Maldives. And it was whilst laying on a sunbed in paradise that he decided to turn the worst thing to happen to him, into the best. 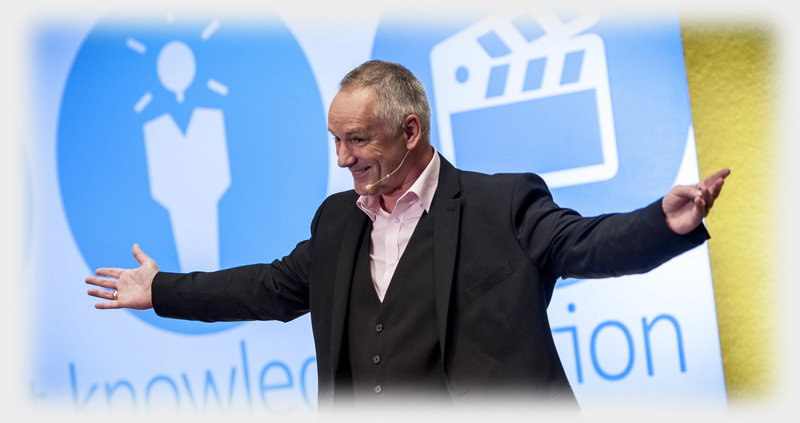 Discover how Ian then became an award-winning business coach, and what tips he has to help you become better at achieving success and at actually being happy. Since age 44, when Ian took the decision to not think of redundancy as the worst thing to ever happen, and instead the best thing, he’s not worked a day in his life since. And that’s because he loves what he does and doesn’t regard it as work. At school aged 16, he took a careers advice test which told him that he’d make a good a teacher and coach. And whilst in the police force, he was the one helping to train the riot teams. Ian was also lucky to receive great training when working in the telecoms business. He was sent on a six-week leadership course at Sandhurst. Afterward, he received an email from one of the trainers saying that if he ever fancied a career change, he’d make a good trainer. So that’s what he did when he got back from his holiday. What he found is that it wasn’t a great fit for him as it was too military biased. But it did spur him on. At a coaching franchise seminar, a slide about the different between a trainers and coach helped him to realize that training wasn’t for him, but coaching was. A coach is someone who empowers the individual, whereas a trainer passes on information in a classroom type environment. And for Ian, a mentor is somebody who has walked the walk, got the t-shirt, achieved a result in an industry, and then happy to help others down that route. By being a coach, he is theoretically able to work with anyone in any industry. That’s because he doesn’t coach businesses, but rather the people who own business. To coach a business you don’t need to necessarily know about the industry or the business tools. That’s because it’s about unlocking in the individual the things they know they should be doing but are not. Being a coach makes it hard to get clients. Roughly, only 2% of people are suitable or interested in being coached. And finding those people you’re a good fit for and are in your demographic, only leaves you with a small pool of people. When he started people didn’t even truly understand the concept of a coach, so not only was he explaining that to them but also what he could do for them. He was lucky enough to sign three new clients from his first three appointments. And that led him to believe it would be a lot easier than the reality. The people who say that coaching doesn’t work for them haven’t been sitting in front of the person who is right for them. When someone is answering your question, just think whether the information they’re giving is their opinion on what you should do or advice. They are often the difference between a good thing and a bad thing. Ian is a supporter of constant improvement. When he is sat with people every day, he is often giving them similar kinds of advice. Then one of those people will then do it differently, and Ian will discover it’s an even better method than he was teaching. And that will then give him another method he can share. When he started, he knew that he’d have to find ways to constantly improve in order to be the best. Traditionally in the corporate world, the Friday afternoon is a lazy few hours. But Ian makes use of that time, and every week blocks it out in his diary and keeps it free for PDT. This Personal Development Time is then spent listening to podcasts or reading. And most of the time he manages to stick to this schedule. One of the things which he sets out with all his new clients is that he will never accept the excuse ‘I didn’t have enough time’. If you manage to sleep, eat and watch TV, then you have time. It isn’t actually about time, as we will never have enough time to do everything we want. We’ll all die eventually with things left to do. It is actually about priorities, and deciding how high things sit on your to-do list. Ian didn’t use to set himself business goals, but now he does. And the penny dropped when he realized that rather than always working forward, we should know where we’re going to first, and then go back in order to achieve that. Ian refers to goals for the year as HUGS, which are Huge Unbelievable Goals. But by changing how you refer to them, they become more accessible. There is a lot of research to say that the process of writing stuff down is the best way. You get them out of your head and you can physically see them. Although this is something Ian recommends everyone to do, he also understands that everyone is different. And that’s why he has different systems to suit the client. After all, the most important thing is to go through this process working out the goals and what activities are needed to achieve it. The way they go through it is arbitrary. And setting yourself a deadline makes you more accountable to yourself. But it also isn’t cheating if you have to move the goalposts if you can see you’re not going to make it. Just ensure that goal still remains an attractive target to achieve, so that you still get the chance to do a fist pump at the end. To achieve the HUGS, you need willpower, discipline, and accountability. And irrespective of whether we draw from the bucket of willpower or not, it drains out of the leaky bucket as the day goes on. It’s easier to resist that chocolate bar in the morning than it is in the late afternoon. So do the things which you struggle with at the start of the day. It was two or three years into his coaching business before he had clarity on what his business why was. Ian’s mother died when he was just in his late twenties, suddenly of cancer. She was only 17 years older than he was. Afterward, he stayed at home for two weeks mourning her, when everyone else was starting to return to work. And it made him angry that everyone could back to work seemingly so easy after knowing someone who lost their life young. He discovered that his whole why is about legacy, and wanting to leave things on this planet to show that he had been here, and so had his mum. She used to say that just because you knew you couldn’t finish something, it wasn’t a reason for not starting it. Ian created a video explaining this, and how he can always be upbeat and positive. If sulking were an Olympic sport, then Ian would have surely earned a few gold medals when he was younger. He confesses that he could sulk for days over petty things. But he’s since realized that no-one ever puts you in a bad mood or good mood. These are choices we make based on the events which happen to us. When Ian gets out of bed now, he’ll choose his happiness for the day from the happiness scale which goes from 1 to 10. Now, 8 is a good choice because it leaves you in a good place, whilst still having room to improve. Even before you’ve spoken to someone, you can usually get a sense of what sort of mood they’re in. You could probably even place them on that scale. The reality is that we’ll attract other people who are on a similar number to what we’re on ourselves. So it’s important to have a high number yourself, otherwise, you’ll being surrounded by people who are 2s. You can find out more about Ian at his website IanDickson.co.uk, as well as on his Facebook and YouTube pages. He’ll hopefully have a book out later in 2017, so stay in contact with him in order to be the first to find out when. Also check out his next event in Portsmouth on the 3rd February 2017 called the 100 Game Changers for Business, which will be full of useful tips to help business owners.